Why does my puppy nip at my hands when I pet him? Because puppies are oral, or perhaps because they are teething. But the fact is that pups use their teeth, like human babies, use their hands. Puppies explore everything with their mouths and nose. Keeping the baby pup well supplied with ice cubes, or a frozen wash cloth, or highly desirable chew toys, and providing exercise and using the info provided thru one of trifecta’s puppy programs will help you and the pup enjoy the gifts of puppy hood! Why does my puppy nip at my ankles, or tear my pants or stockings? Because puppies and kittens, have a very strong prey, or chase drive. Ask yourself, have you ever seen a cow chase a moving object? While cows may do this occasionally- it is not a drive as it is with puppies. Puppies are born with the instinct to chase, to herd. Chase, and nip behaviors our part of the package of normal puppy development. By teaching your puppy more acceptable ways to chase, and more acceptable ways to interact with humans, this behavior can be nipped early. Our goal is NEVER to hurt the little pups feelings. Rather our goal is give them skill sets to help them adjust to our human rules. You can learn much more about how to teach pups the “right” way to play or interact with us, a completely different species by participating in our puppy programs, and attending our seminars, titled “Surviving Puppy hood”. My 5 month old puppy is not coming when called. I’m frustrated because he used to come when called. This question is one we are asked frequently by our frustrated humans. Here’s the answer, and it may surprise many of you. Pups because they have a different set of “hard wiring” or DNA” are born, programmed to stay close to the pack, and to mom. If they wandered far away, predators would get them, or they would get lost. Nature intended for the baby pups to stay close and thus increase survival in the wild. This “hard wiring ” is present in all puppies, even tho, dogs have been domesticated for centuries. At between 5-6 months it is normal for pups to begin to cut their teeth and cut the apron strings attached to mom. Nature wants the pups to begin to explore, increase their territory. So, to humans what appears as disobedience is really a normal stage of development. Our job as the head of the pack, that the pup lives in, is to teach the pups the value of coming when called. We start this one very early, and we are always seeking ways to teach it. 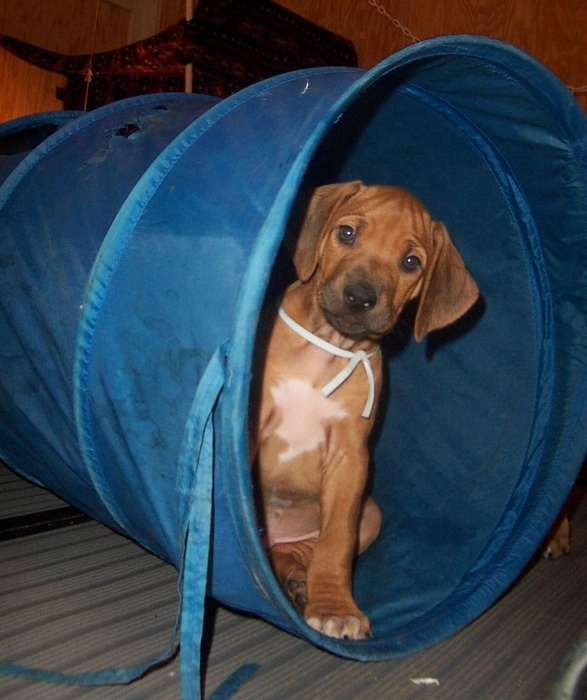 By participating in our puppy programs you will learn to teach a reliable come command. We think this one command is the single most important one, since by obeying it, the pup may avoid getting hit by car, they can avoid the typical “run away-chase something interesting, and get lost scenario. We are always on the prowl for new puppy students. Reach out to us. The training video titled “Puppy training, the trifecta way, is a well presented training tape. It is available here, on the site for easy download. It should be in every home where there is a puppy. we even included chapters on using the techniques in the video, for older dogs as well.